If you are afraid or anxious at the dentist, or just generally experience discomfort at the dentist, then sedation dentistry may be right for you. In New York City, experienced sedation dentists Dr. Ramin Tabib and Dr. Elisa Mello provide conscious oral sedation and nitrous oxide so that you can receive the dental treatment you need and deserve, without fear. To learn more or to schedule an appointment, please call NYC Smile Design at 212-452-3344. We Can Help You Find Absolute Comfort During Your Procedure. 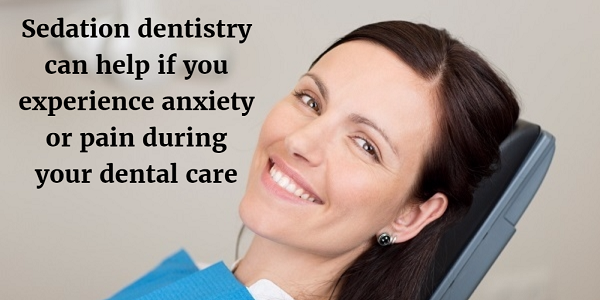 Dental anxiety can be so overpowering that it prevents you from going to your routine dental appointments. When you don't get the dental care you need, it can be difficult to avoid common dental problems like cavities and gum disease. Sedation dentistry provides relaxation so that you can go to your dental appointments successfully. Contact Us to Learn About Your Sedation Options Today! Nitrous oxide (laughing gas): A light level of relaxation and sedation can be achieved with nitrous oxide gas. You breathe nitrous oxide through a mask placed over your nose, while supervised by the dentist. The great thing about laughing gas is that its effects wear off rapidly once you stop breathing it in. You'll be able to drive yourself home, and there aren't any side effects even though you'll be properly relaxed during treatment. Oral sedation: With a safe, effective pill you take shortly before your treatment, you'll relax comfortably into a state of conscious sedation. You'll be awake and able to respond to any instructions from our dentists, but you'll also be deeply relaxed and won't remember the appointment afterward. Dr. Mello and Dr. Tabib want you to feel calm and at-home when you visit our office. Visit us to see how comfortable our practice is and how we can help you overcome dental anxiety. To find out more about sedation dentistry at NYC Smile Design, please call our office at 212-452-3344. Our experienced sedation dentists serve all of Manhattan, New York City and all of the surrounding areas.